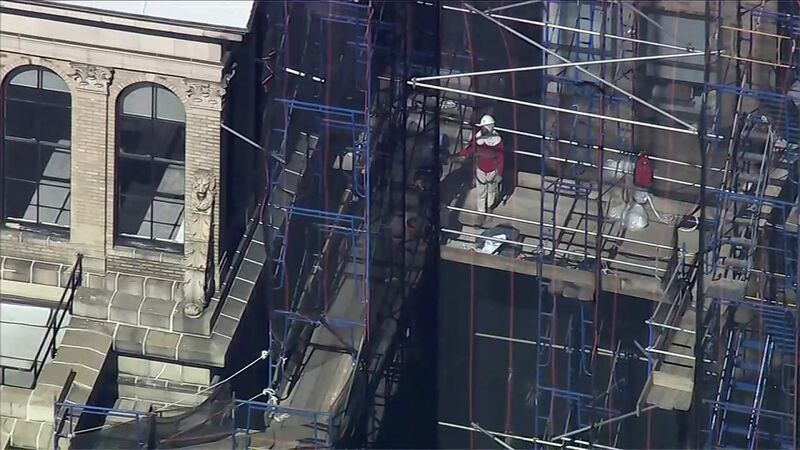 MIDTOWN, Manhattan (WABC) -- A construction worker is in serious condition after falling several floors while working on the side of a building in Midtown Manhattan Tuesday morning. The call came in for help at 38th Street between Sixth Avenue and Broadway at 9:53 a.m.
FDNY officials tell Eyewitness News that the man landed on scaffolding and rescuers brought him in through the 16th floor. The person who fell was a worker at the site. It's not clear what his role is at the construction site.